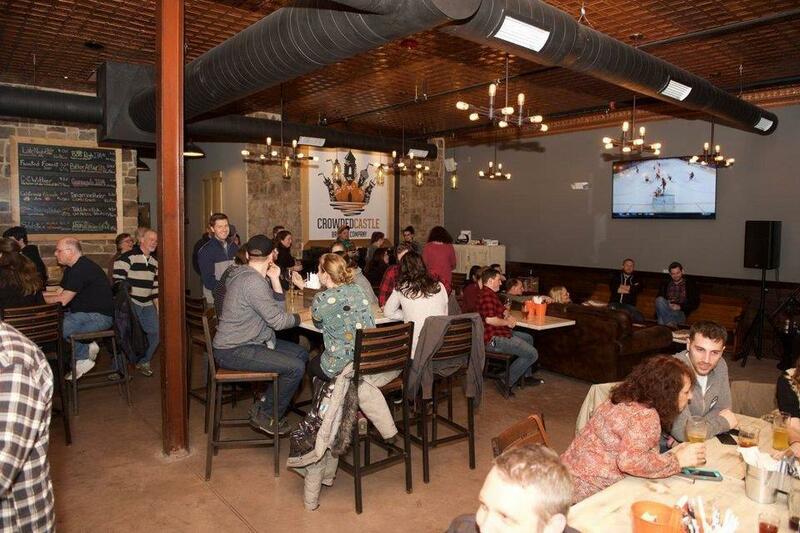 Located in the heart of historic downtown Phoenixville, PA, Crowded Castle serves quality craft beers brewed on-site, along with ciders, wine and craft liqueurs made in Pennsylvania. Crowded Castle's interior, designed by its founders, reflects the resurgence of the steel town and the surrounding area, while also paying tribute to its historical past. Our taproom offers a fun, welcoming and comfortable environment with soft seating, an assortment of tabletop games, TVs, high and low-top tables, and great window views of downtown Phoenixville. We are family-friendly. Come in for a beer, or two, or three! There is always room for one more at the Castle.